You can download additional watch faces for your Gear S2 using the Samsung Gear application on your mobile device. 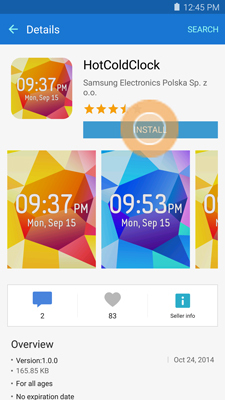 Note: A Samsung account is required to download watch faces and applications from Galaxy Apps. 3. 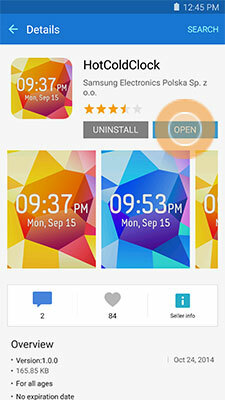 Touch Samsung Gear Apps . 4. Touch the CATEGORY tab. 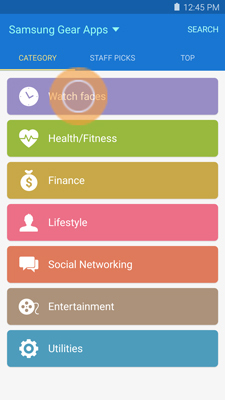 Note: Additional watch faces are available under all categories. 6. Touch the watch face you want to download. 7. Touch INSTALL or the price. 8. Touch ACCEPT AND DOWNLOAD. 9. 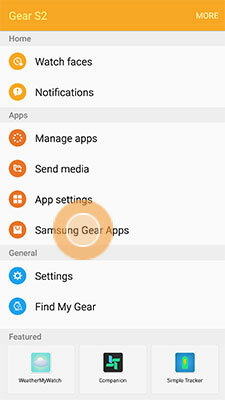 Touch OPEN to return to the Samsung Gear application. 10. Scroll to and touch the watch face you downloaded. 11. 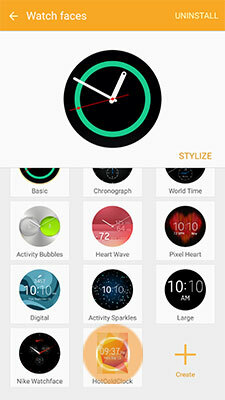 If available, touch STYLIZE and follow the on-screen instructions to customize the watch face.